I love love love sending and receiving nail mail, and it's always a treat when I hear from my lovely friend Inés. We go back years to before either of us had beauty-related blogs, so it's nice that we've been able to stay in touch. 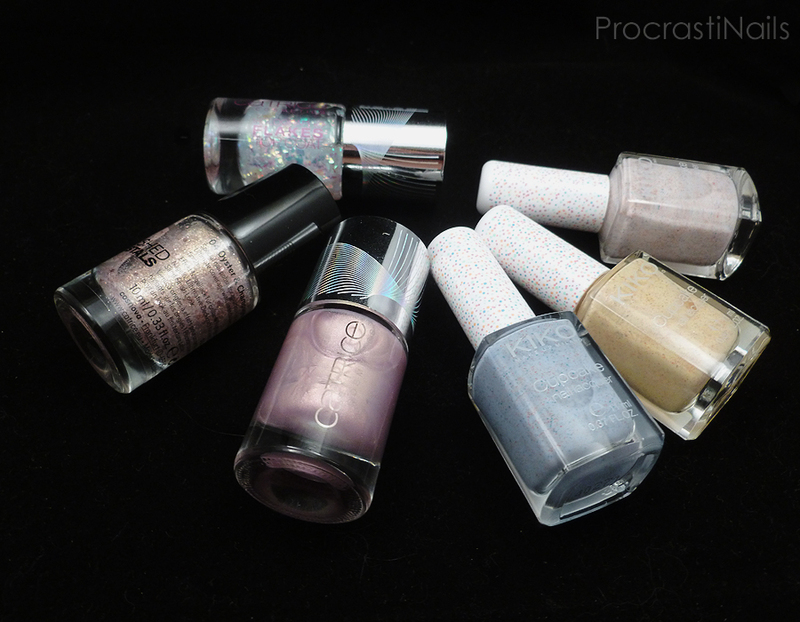 :) When I heard from her this time she sent me some LOVELY Catrice and Kiko polishes so let's take a closer look! 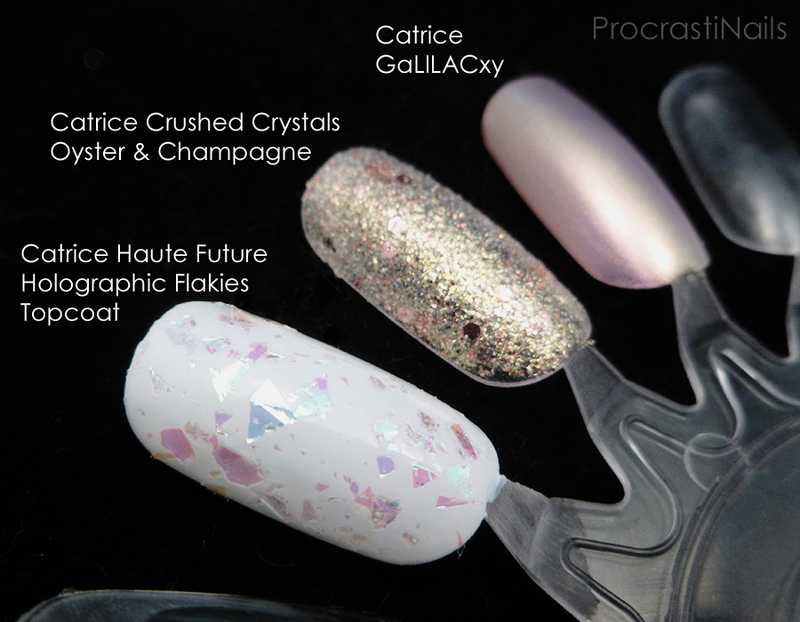 She knows me so well... Catrice Haute Future Holographic Flakies Topcoat is a gorgeous holo flakie with pinks and blues and oranges coming through in the right light. I have it swatched here on top of Formula X White Matter. What you can see is one layer with a wee bit of placement to get full coverage. Catrice Crushed Crystals in Oyster & Champagne (pictured here with three coats) is a gorgeous full coverage textured glitter. The base is gold and pink microglitter with a few large pink hex glitters thrown in as well. It's a very decadent polish, as indicated by the name! 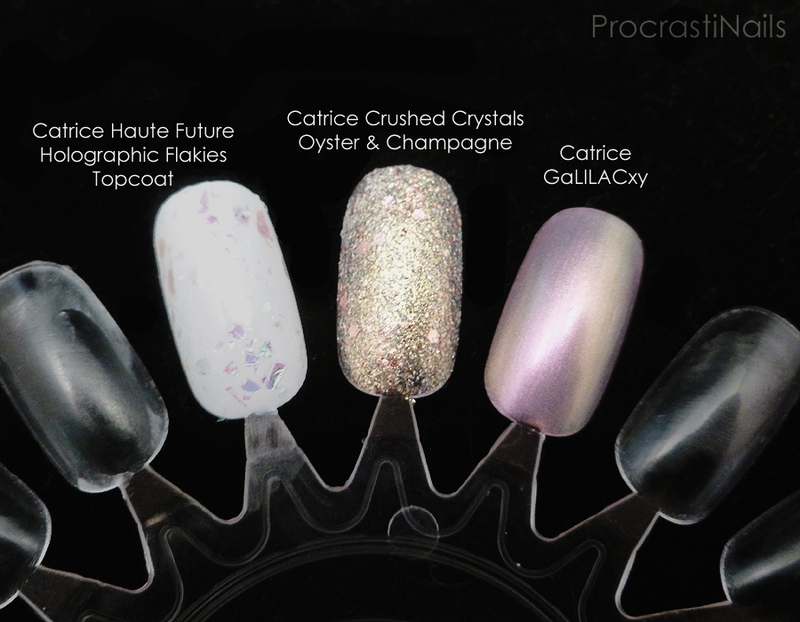 Catrice GaLILACxy has a funny name but it's a lovely sheer light purple pearl polish (say that three times fast!) that can be worn on it's own or as a lovely one coat topper for another polish. Pictured here is three coats. And as a bonus it has a bit of a holographic tint in the right light! Ahhhhh the Kiko polishes! These are all from the textured Cupcake line, and I remember seeing them on some blogs a couple months ago and being so jealous of them... They remind me a bit of the Nicole by OPI Roughles collection, but I like these ones better. I'm planning to do some awesome textured cupcake nail art with these polishes in the future, so keep an eye out for that! 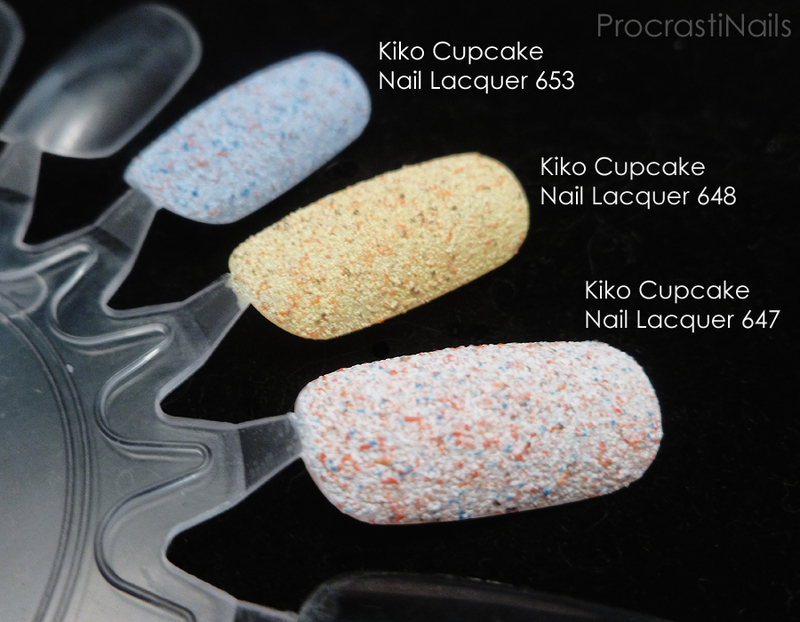 Kiko 653 is a baby blue textured polish with flecks of pink, blue and orange in it. Like all three of these polishes it went on perfectly and had full coverage with two coats. 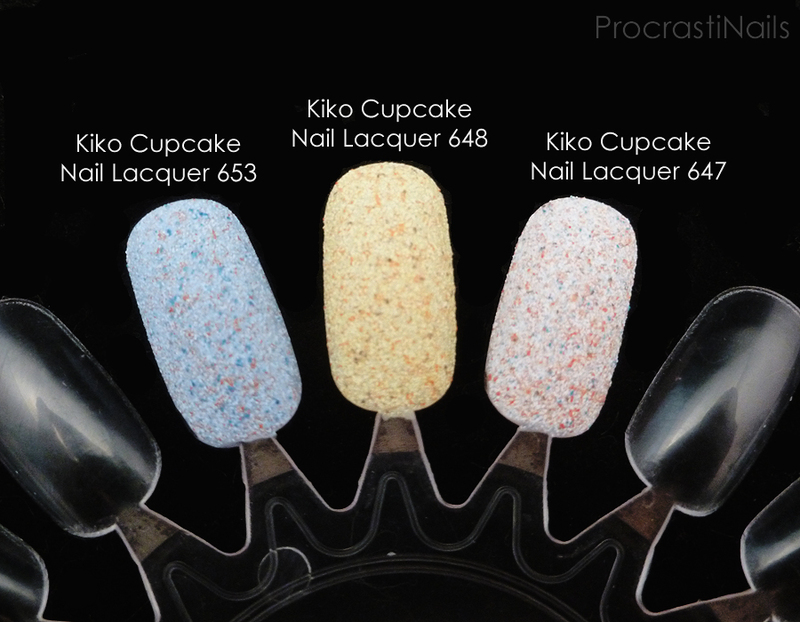 Kiko 647 is the last of the three, and it's a soft pink textured polish with orange, blue and possibly red (?) flecks throughout. Again, not a combo that you would expect to like but it totally works!